Bolsonaro stopped in Rio de Janeiro on Thursday on his way to the G20 summit in Buenos Aires. 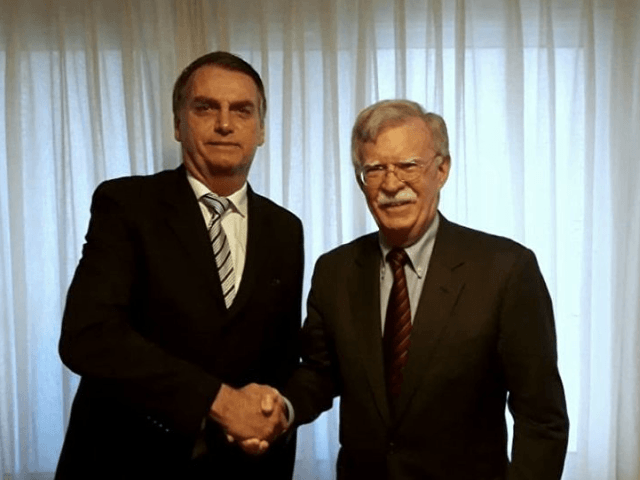 Bolsonaro’s son Eduardo, himself an elected lawmaker in Sao Paolo, visited the United States this week and held meetings with a number of senior lawmakers including Sens. Ted Cruz (R-TX) and Marco Rubio (R-TX) and former Mayor of New York Rudy Guiliani. Jair Bolsonaro has repeatedly noted his admiration for Donald Trump. Many have drawn comparisons between their populist campaigns and positions on everything from immigration to foreign policy.